In April of 1944 Elizabeth Cherry Strayhorn arrived in Fort Oglethorpe, Georgia, to accept her precedent-breaking appointment as Commandant. Male officers had headed the Corps' first boot camp at Des Moines, the second at Daytona Beach, and the third at Fort Oglethorpe until Strayhorn arrived to take charge of the WAC camp there. The Women's Army Corps (WAC) was the women's branch of the U.S. Army. It began as the Women's Army Auxiliary Corps (WAAC) on May 15, 1942 and converted to active duty status in the U.S. Army as the WAC on July 1, 1943. 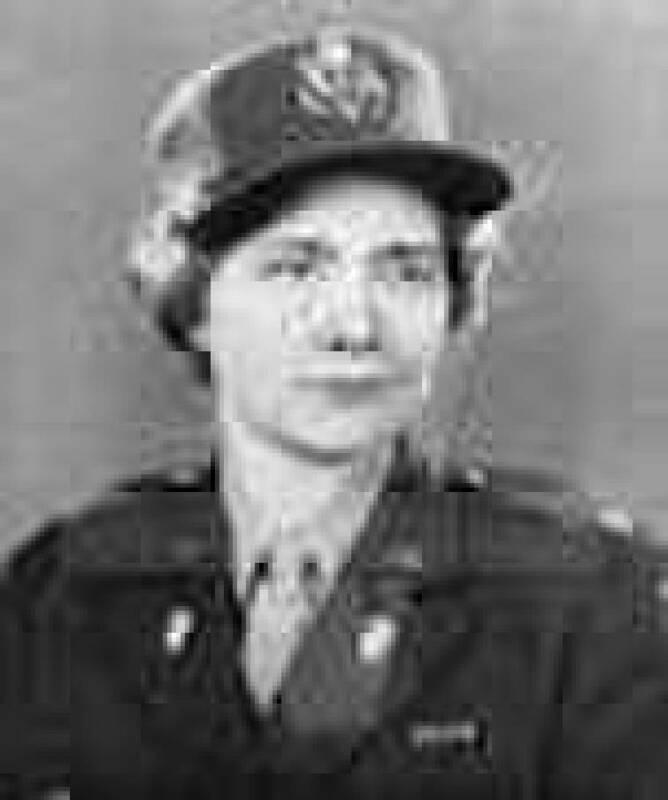 Col. Oveta Culp Hobby was WAAC and WAC director from 1942-1945. In 1942, the first contingent of 800 WAACs began basic training at the Fort Des Moines Provisional Army Officer Training School, Iowa. Elizabeth Cherry Strayhorn was among the graduates of the first officers' training school. In February 1943 she became director of the WAAC training center before it was absorbed into the army. Her assignment at Fort Oglethorpe was challenging. The fort was in poor condition. 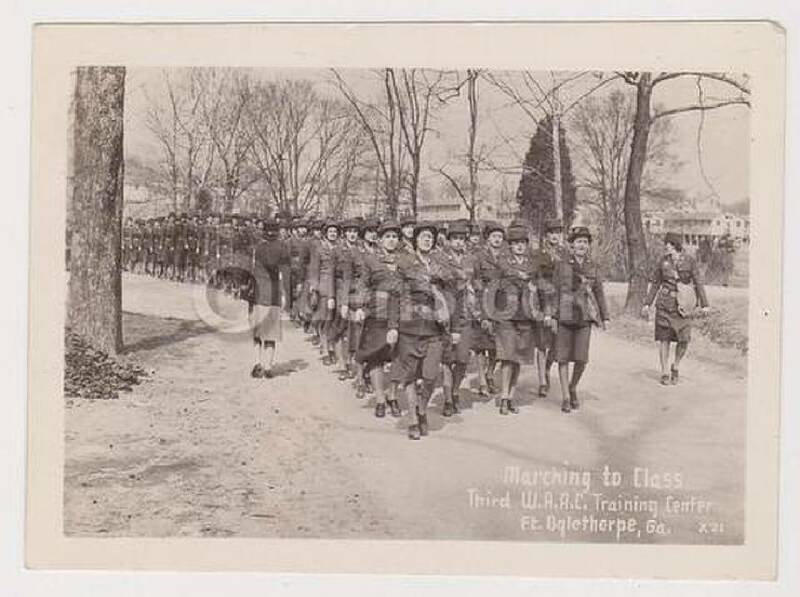 The WAC was the only women's corps that was adequately integrated, and Fort Oglethorpe was in a still rigidly segregated area. Recruits from northern states had come from different cultural backgrounds. Strayhorn, born in Nashville with a twin brother on Sept. 8, 1903, was familiar with the South, well educated, and well traveled in the United States and Europe. Called "Liz" by her friends and family, she graduated from Vanderbilt University and taught high school math in Augusta, Georgia, before returning to Nashville to earn her master's degree from the Peabody College of Education. She also spent a year at Radcliffe College in Boston. She was assistant professor of mathematics at Western Kentucky University State Teacher's College and already serving as an assistant field director for the Red Cross stationed at Fort Benning, Georgia, and Fort Eustice, Virginia, before enlisting in the Women's Army Corps on Sept. 1, 1943. When she arrived at Fort Oglethorpe as commandant, an inspection had revealed that recruits had gone for months without adequate clothing, had been housed in poorly heated barracks, and assigned to unduly long stints at KP and stoking furnaces. Poor working and living conditions had led to an undue amount of illness among the recruits. Strayhorn corrected those abuses. When the Fort Oglethorpe Center closed at war's end. she was promoted to WAC commandant at historic Fort Des Moines in Iowa, where she served until May 29, 1946. She achieved the rank of lieutenant colonel and was awarded the prestigious Legion of Merit. Strayhorn was one of 150,000 American women serving in the WAAC and WAC during World War II. They were the first women other than nurses to serve with the Army and faced conservative opposition to their gender serving in uniform. But Gen. Douglas MacArthur called the WACs "my best soldiers," saying they were hard workers who complained less and were better disciplined than men. They also released an estimated seven divisions of men for combat. Gen. Dwight D. Eisenhower described "their contributions in efficiency, skill, spirit and determination" as "immeasurable." After retirement from the WAC, Elizabeth Strayhorn married Joseph L. Walsh on April 2, 1946. Walsh, a distinguished mathematician, taught at Harvard for more than 50 years. He also served as president and vice president of the American Mathematics Association. At the age of 70 he assumed a professorship at the University of Maryland, teaching there until his death in 1973 at the age of 78. Walsh was best known for the Walsh orthogonal function, an important part of communications theory and the development of theorems aiding the construction of turbines. He served in the Navy in World War I and again in World War II as lieutenant commander from 1942 to 1943 and commander from 1944 to 1946. Walsh was proud to have been the oldest Harvard professor still in active service during the war. After her husband's death, Elizabeth Walsh returned to Nashville. I once was introduced to her in the elevator of her apartment building. She was an alert, white-haired woman of small stature who looked like someone's grandmother. When she died on Sept. 11, 2002 at the age of 99, she left a daughter, a step-daughter, six grandchildren, and nine great-grandchildren. She was buried at Arlington National Cemetery. Her papers are preserved at the George C. Marshall Library in Lexington, Virginia. Clearly Elizabeth Strayhorn and Joseph Walsh are prime examples of "America's Greatest Generation."